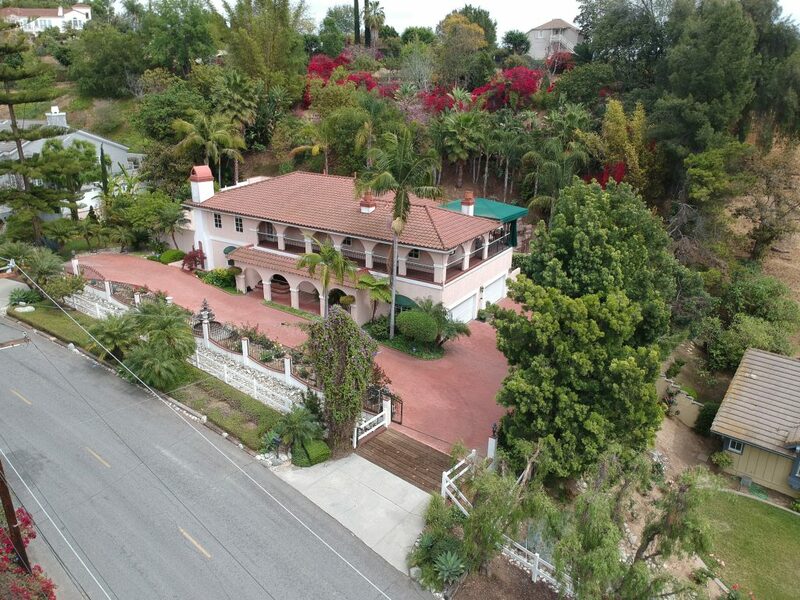 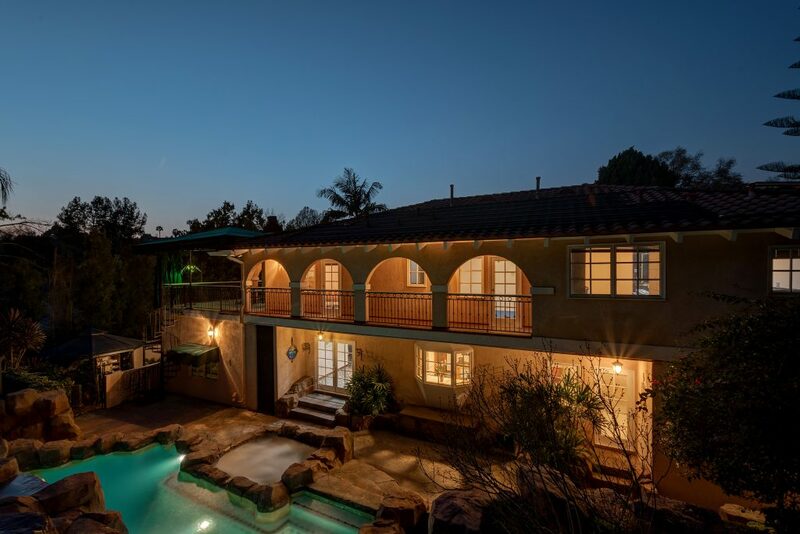 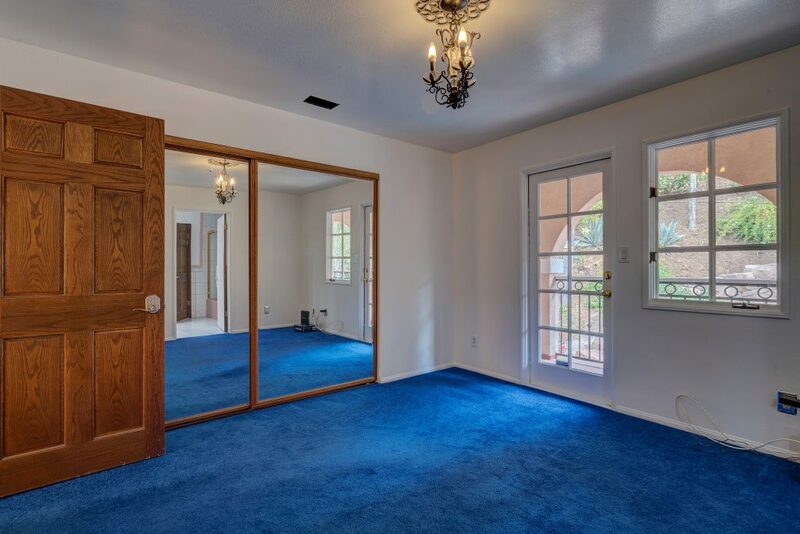 Welcome to this highly sought after and one of the most desirable homes La Habra Heights has to offer. 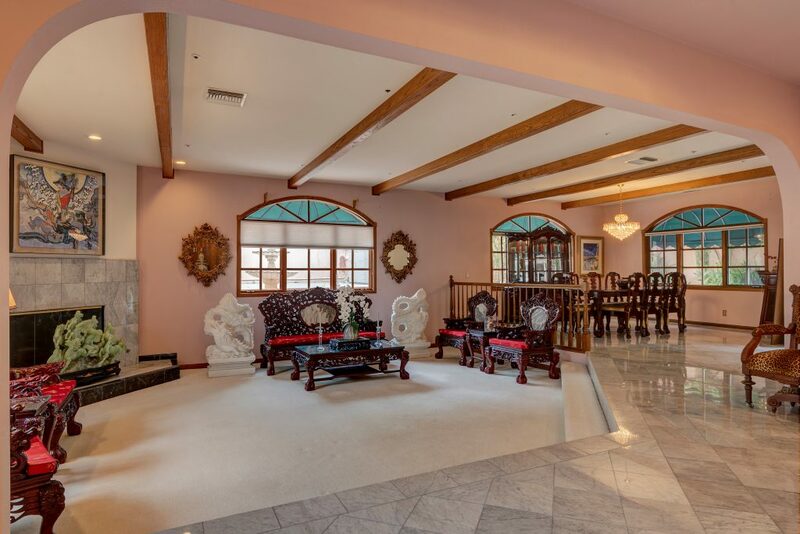 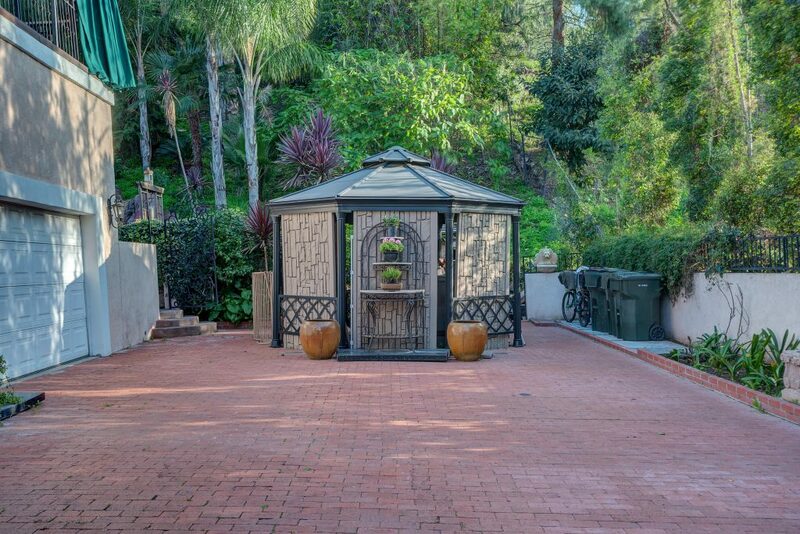 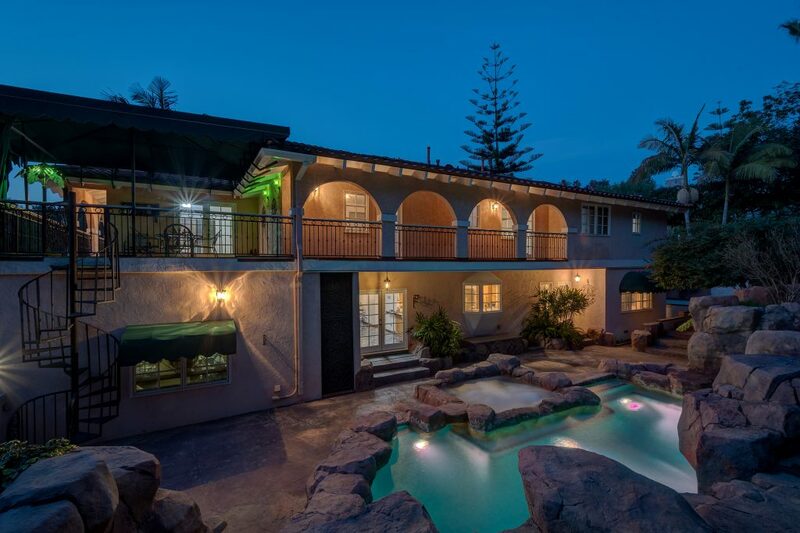 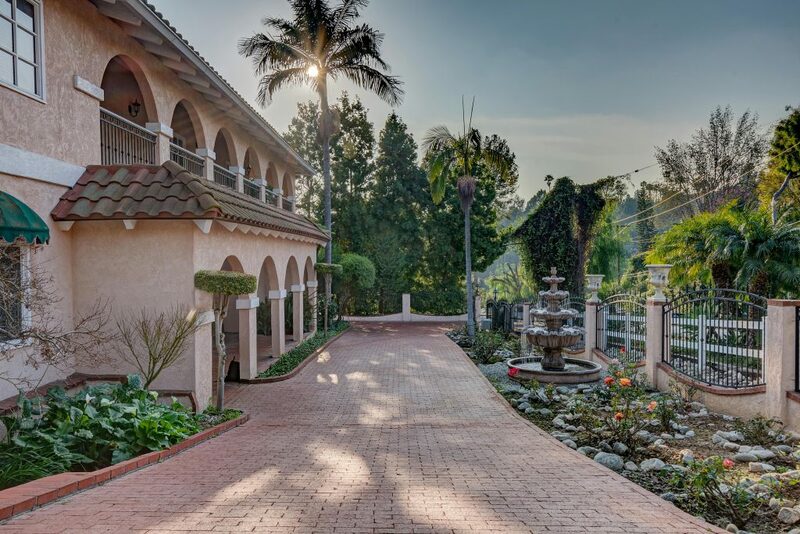 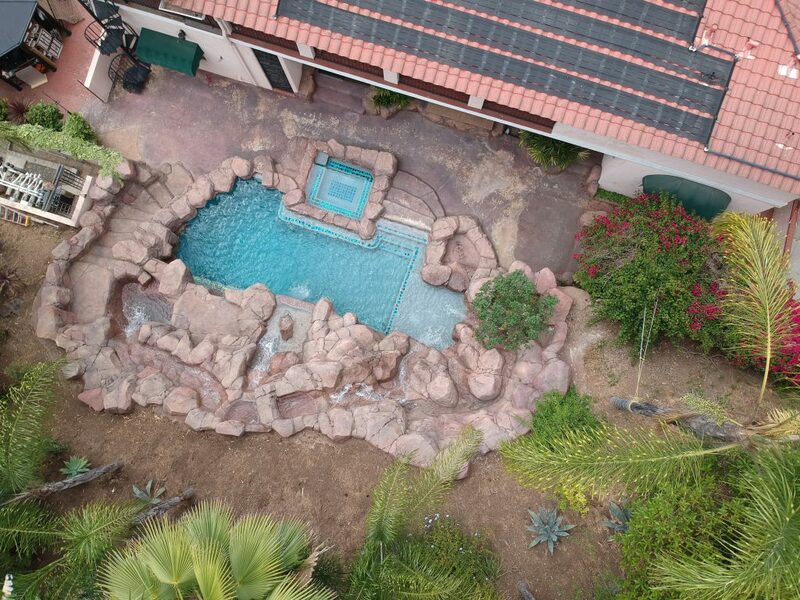 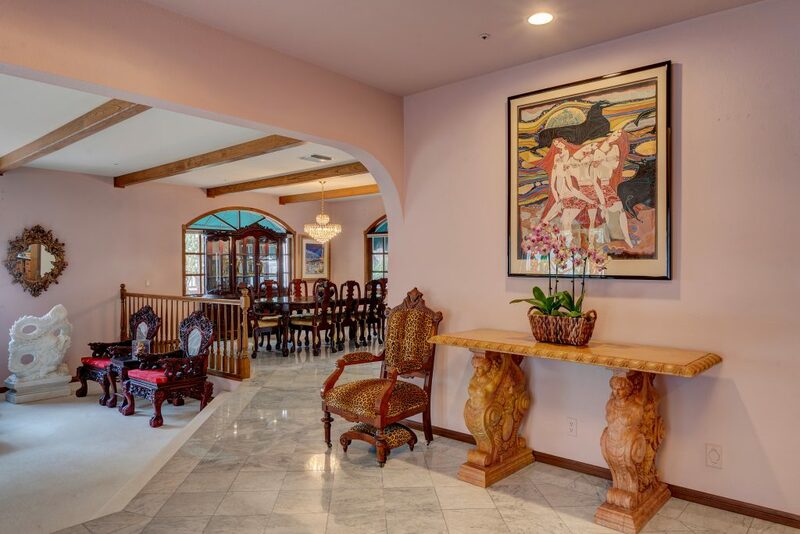 This gated Estate secures you with the utmost privacy and has some of the best Feng Shui you will ever find. 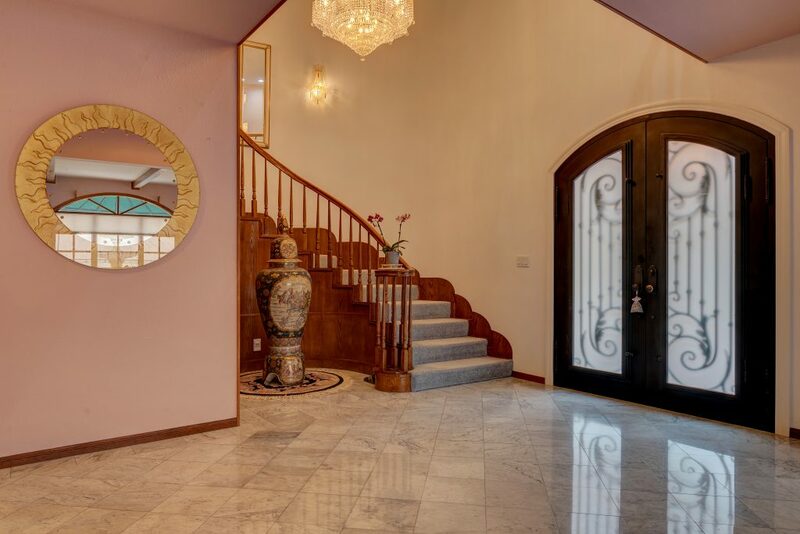 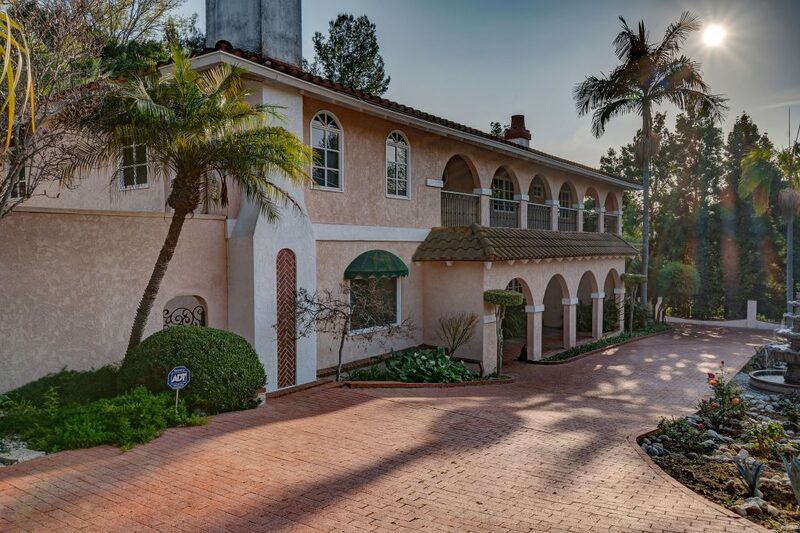 The long circular driveway leads you to the large metal, well designed double door grand entrance. 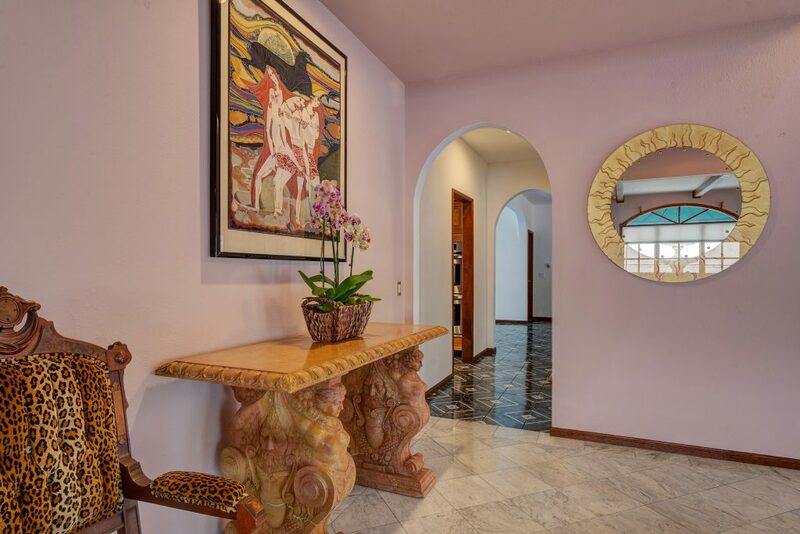 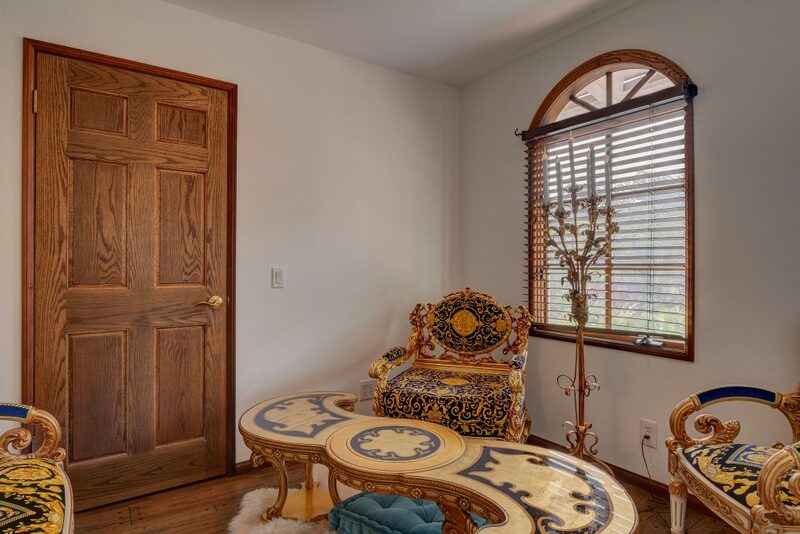 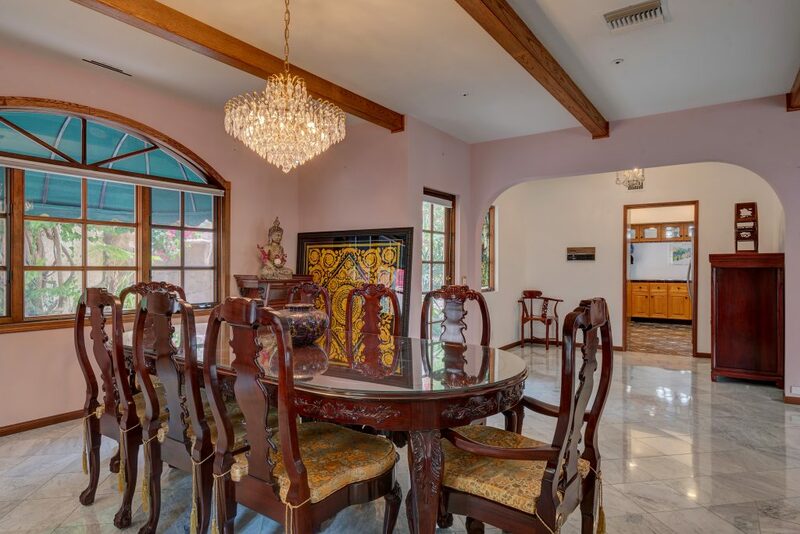 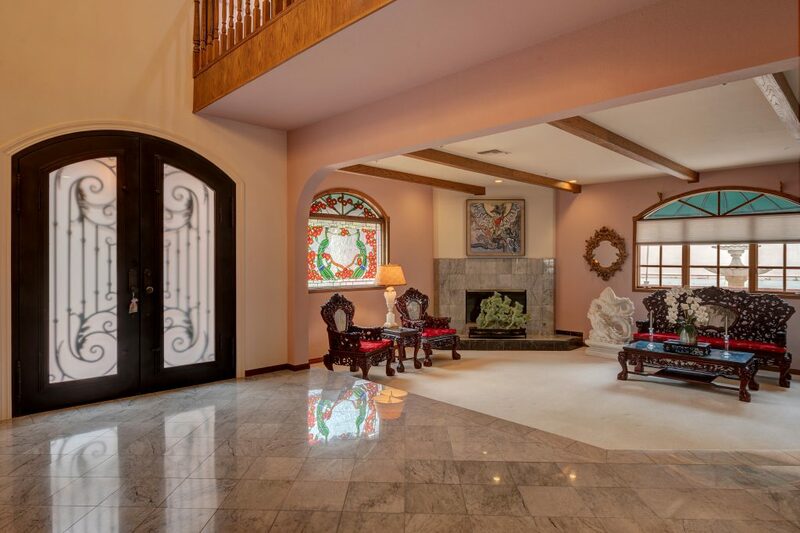 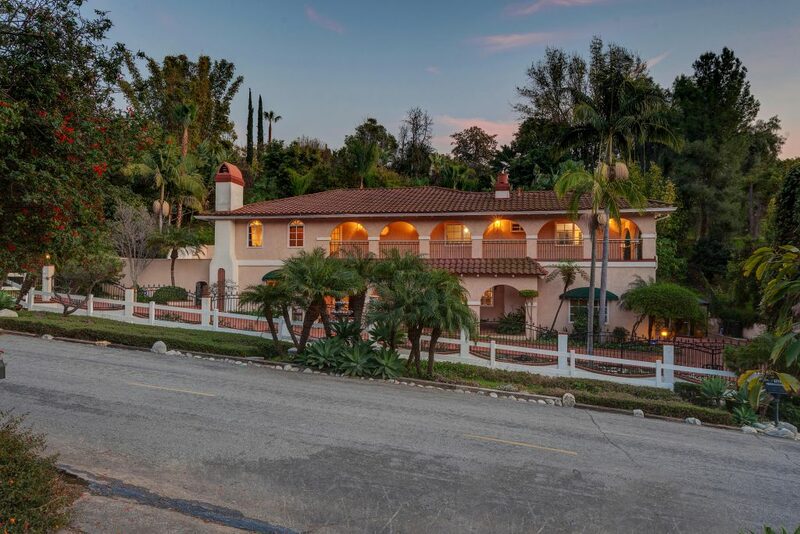 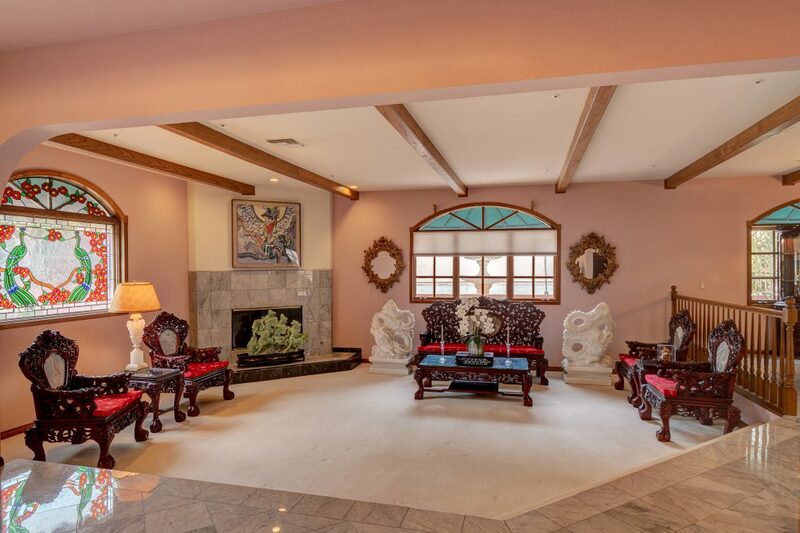 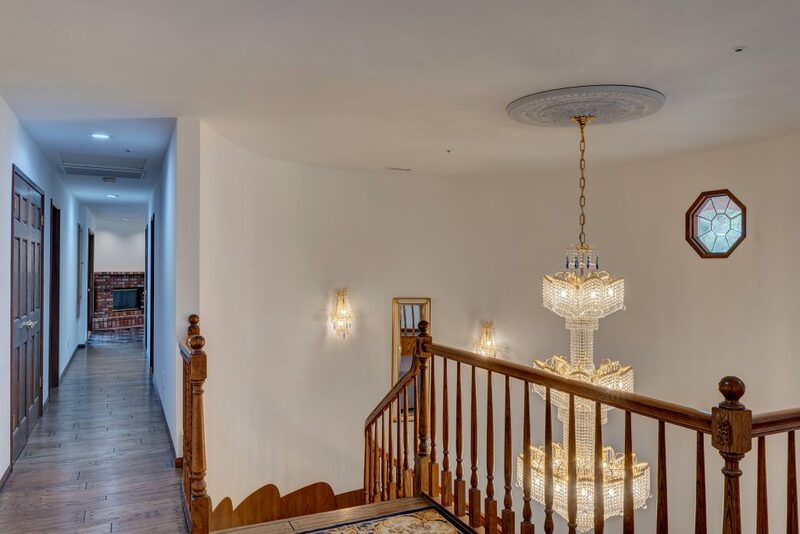 Step inside and you are greeted with marble flooring and a sunken living room that surrounds a well designed marble fireplace which is adjacent to the dining room. 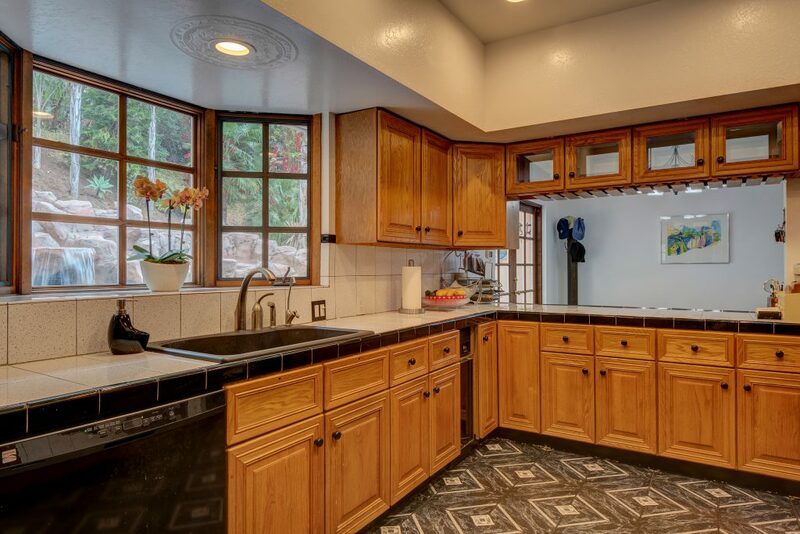 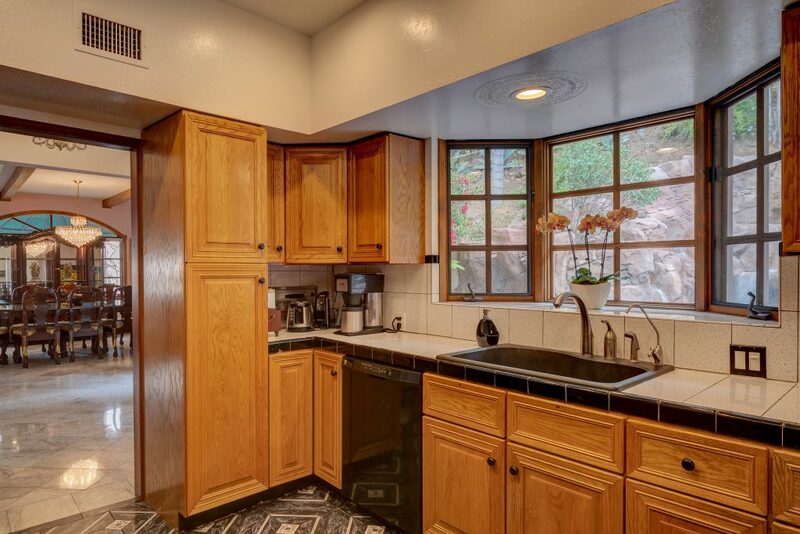 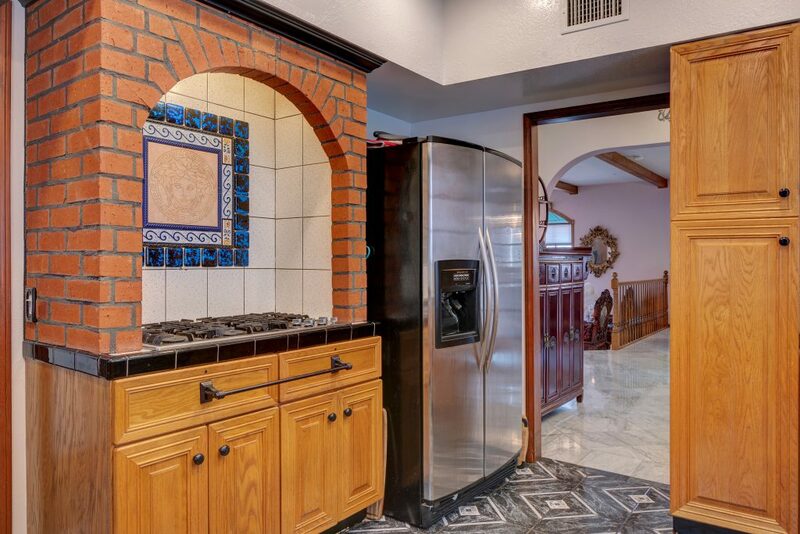 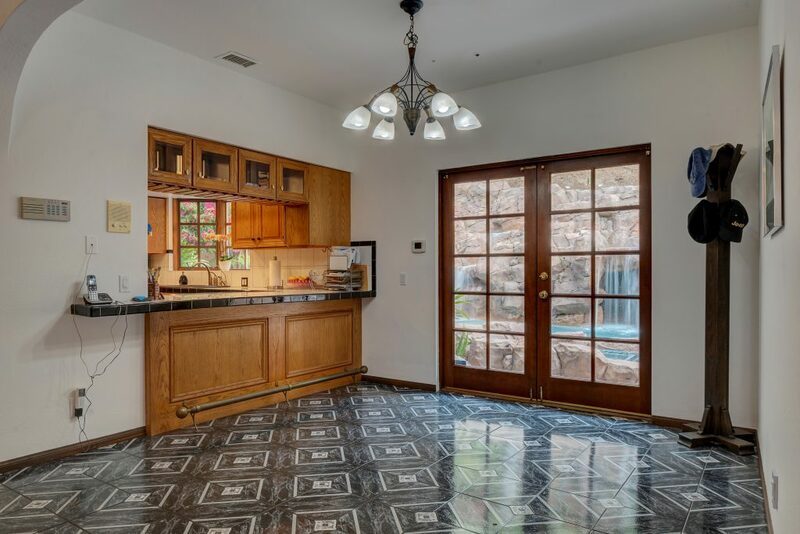 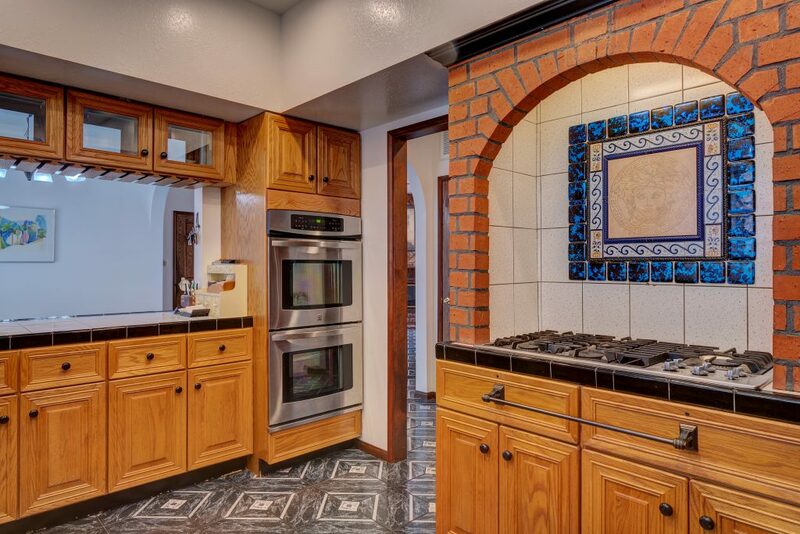 The Kitchen boasts a brick stove with lots of countertop space, and upgraded stainless steel appliances. 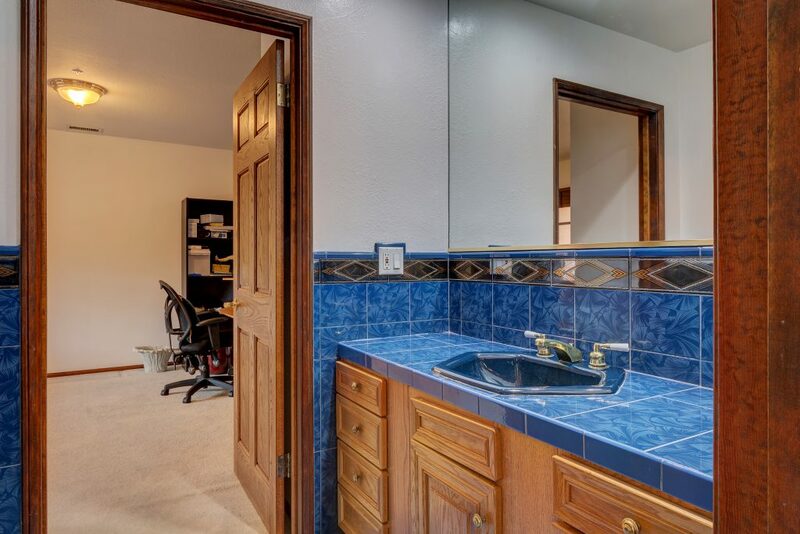 The separate laundry room is located downstairs, and includes a laundry shoot for all the convenience you could imagine. 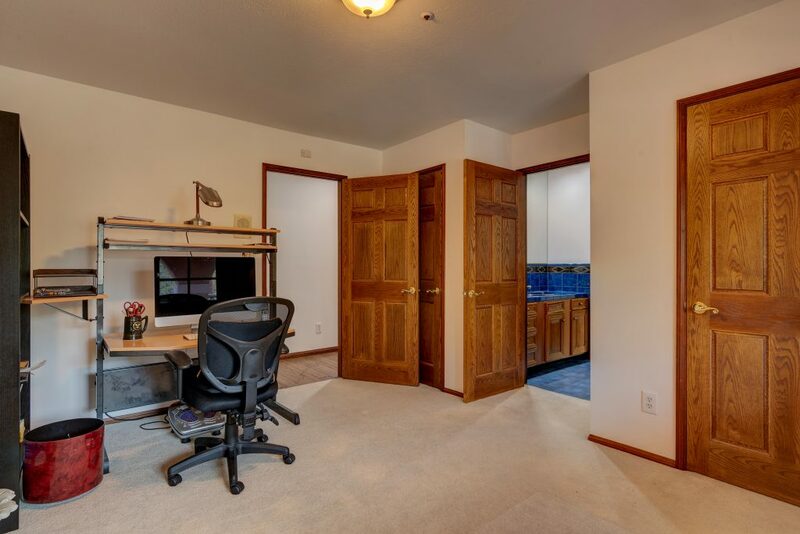 The laundry rooms has easy access to the 4 car oversized garage and has lots of storage space. 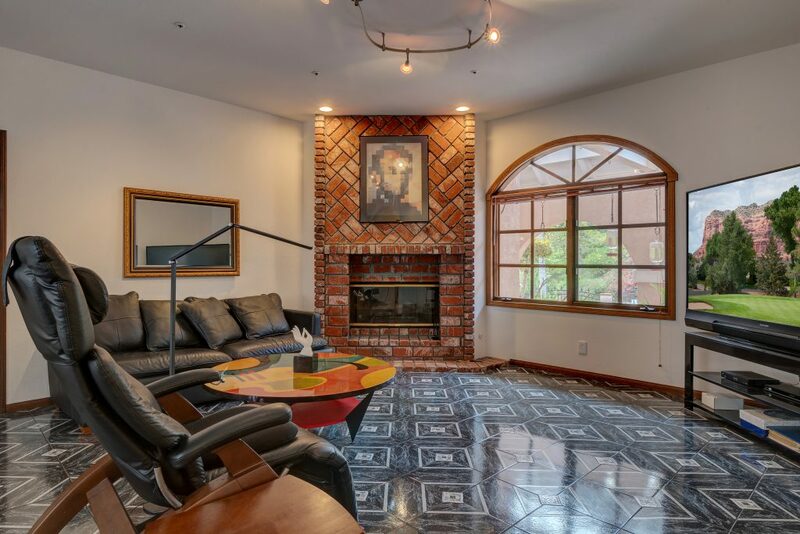 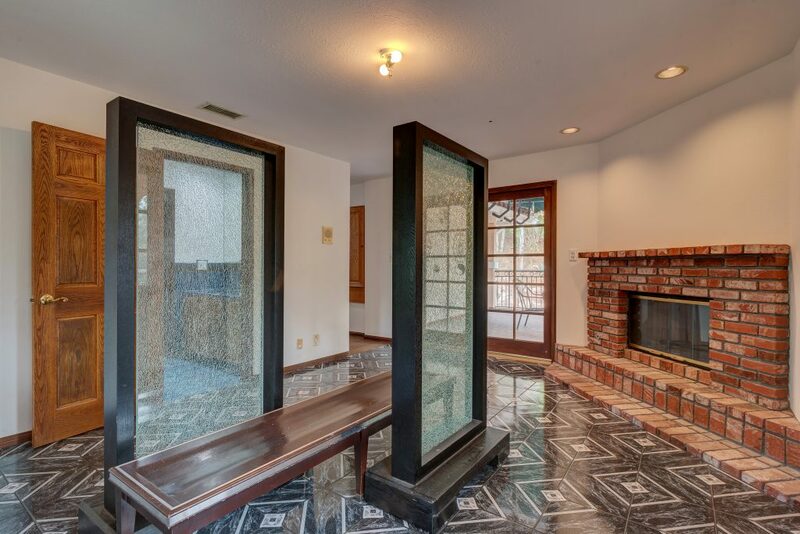 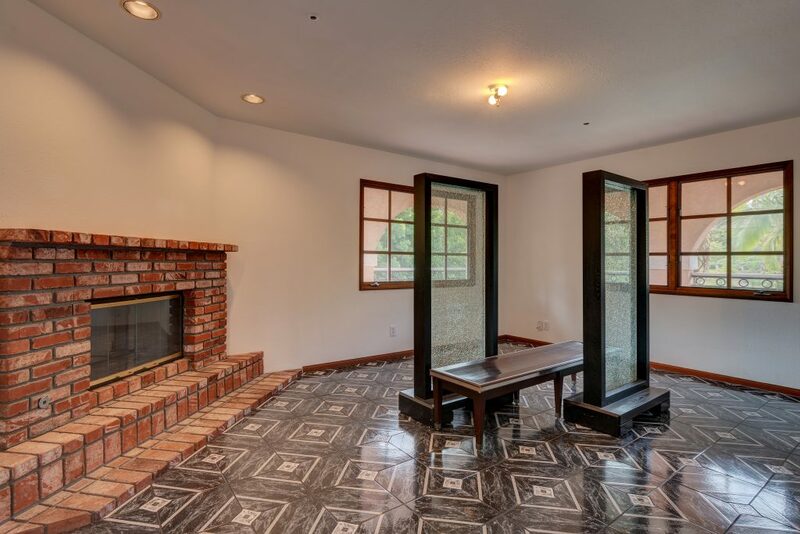 Living room boasts a romantic brick fireplace and has views looking out towards the front of the yard. 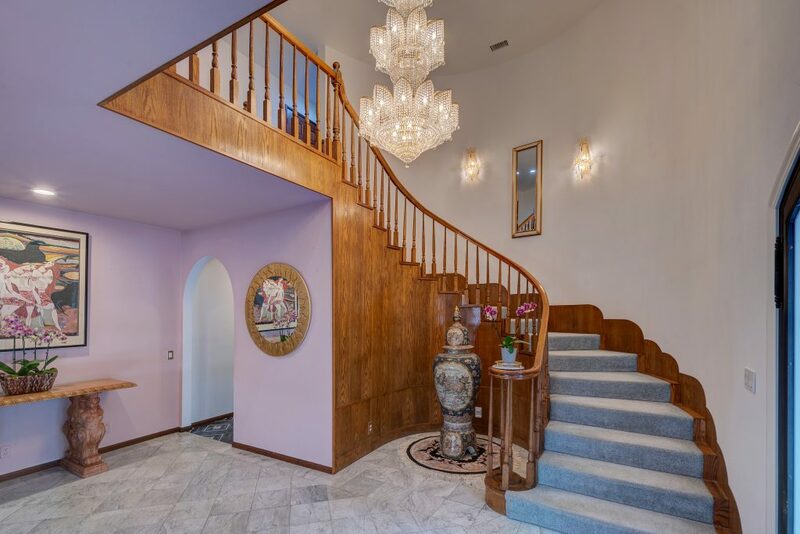 The spiral staircase leads you to all bedrooms of the home. 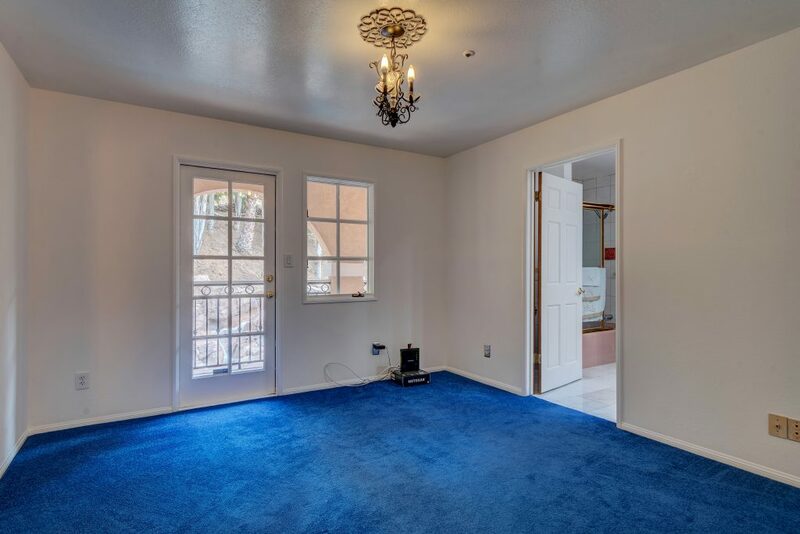 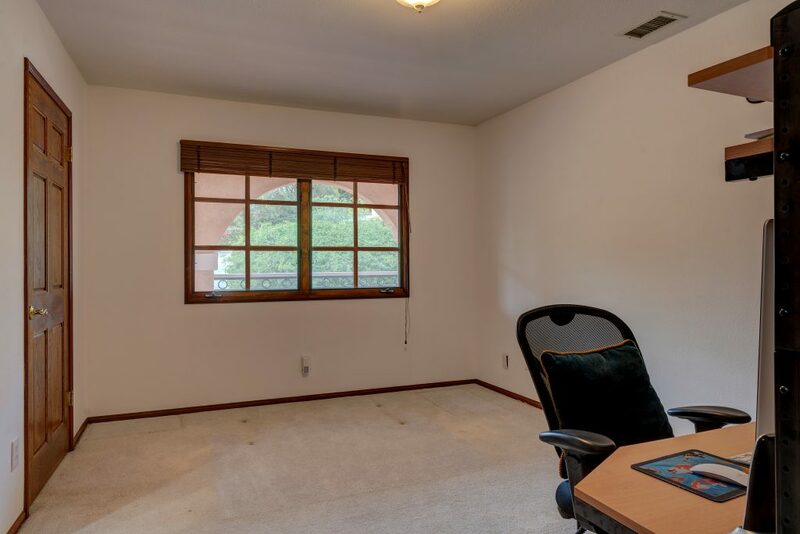 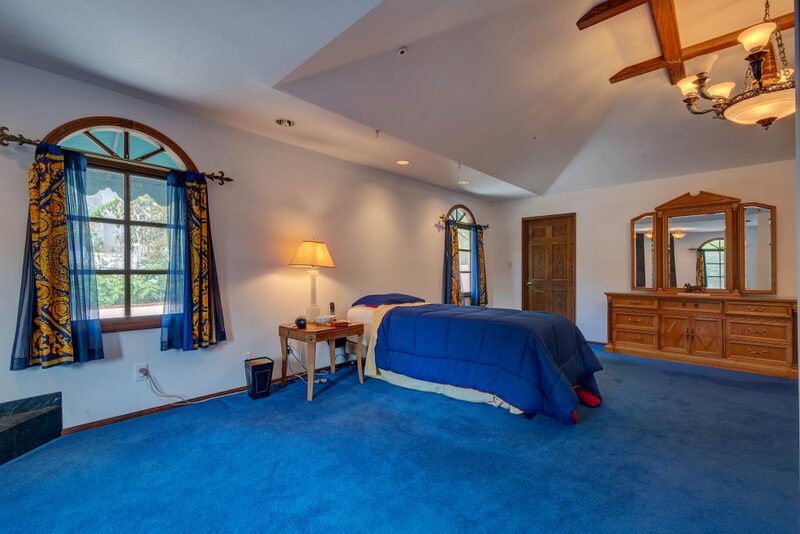 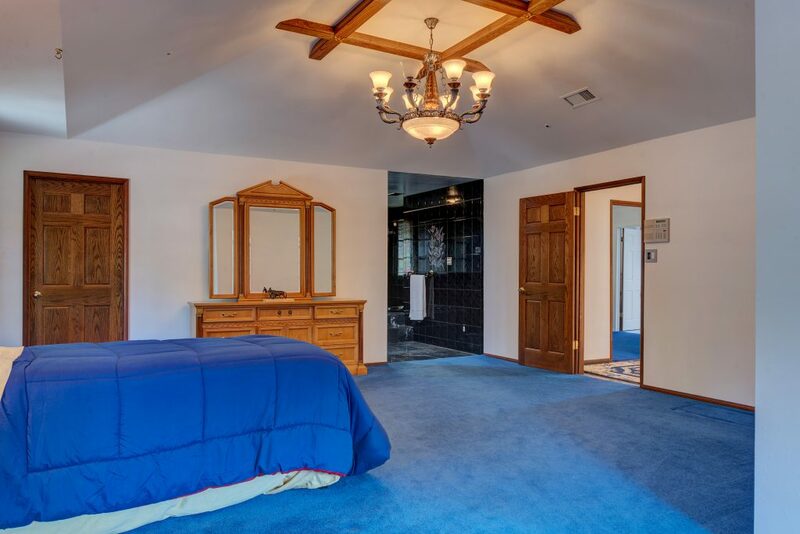 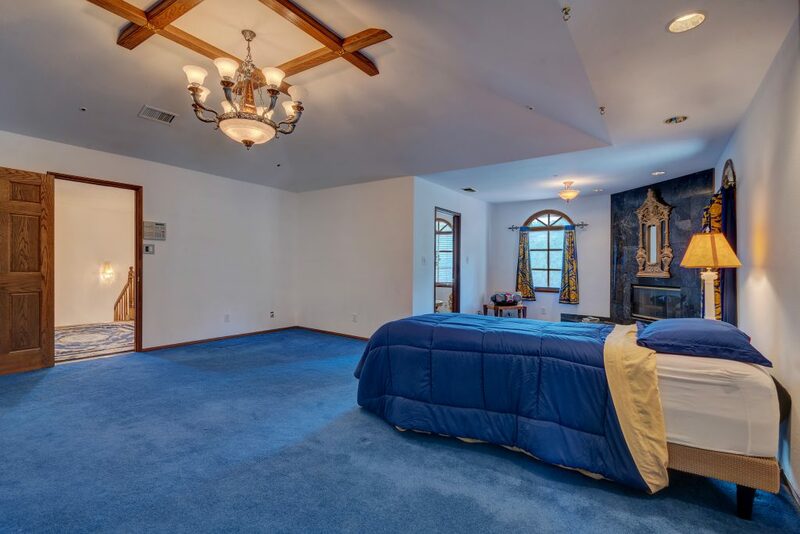 Master bedroom features a prayer room/ utility room for anything you desire. 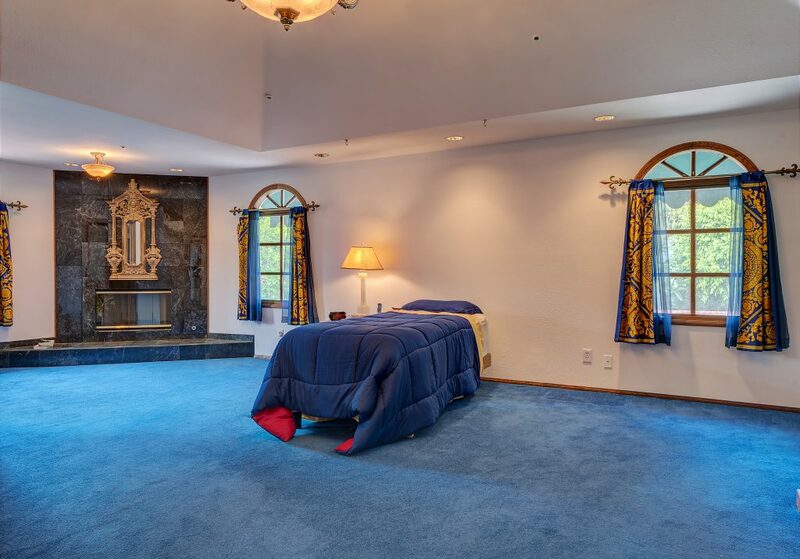 There are 2 cozy fireplaces in both bedrooms upstairs that sit in the corner of the room for warmth during those cold winter nights. 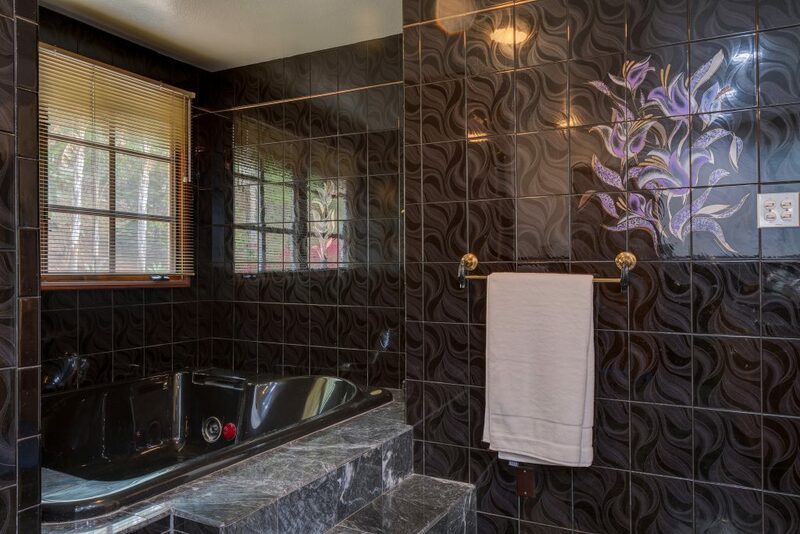 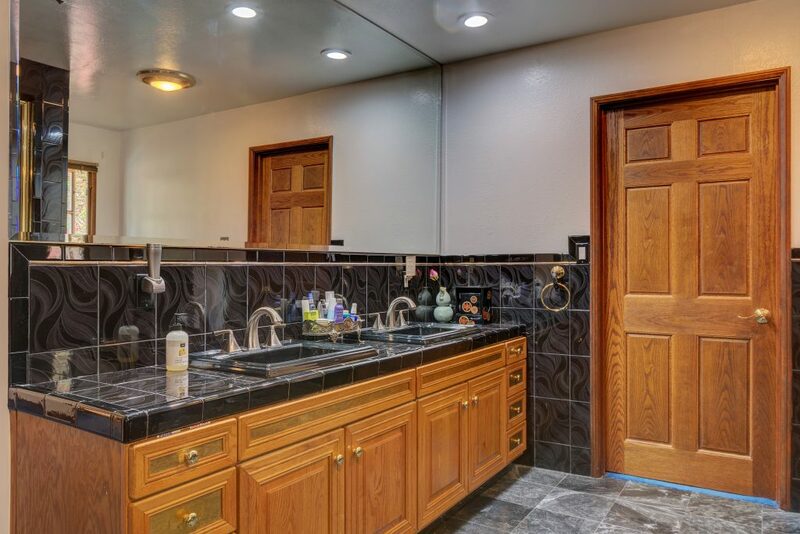 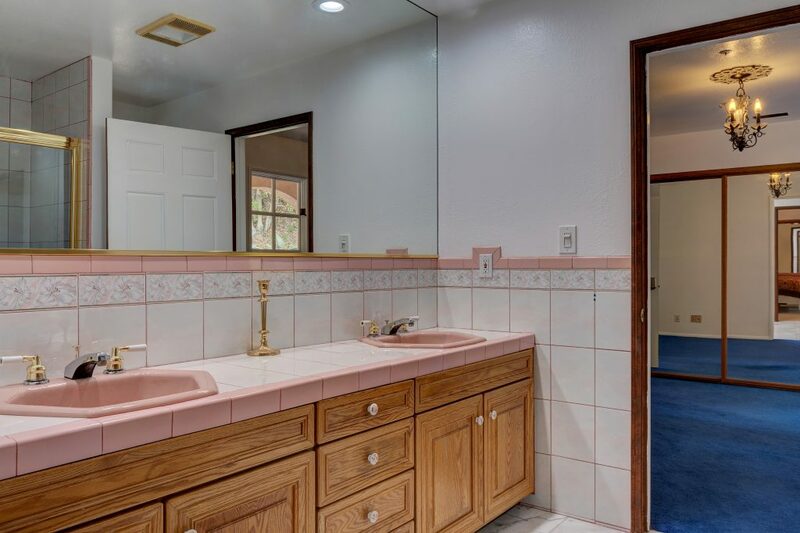 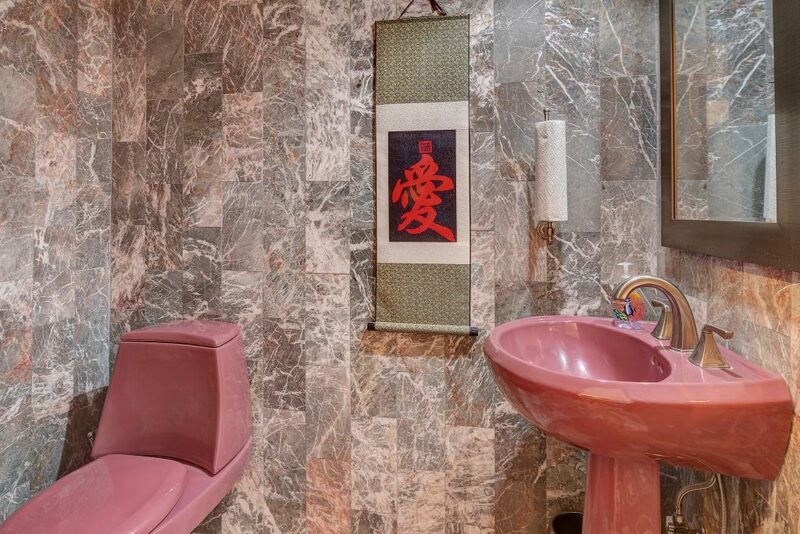 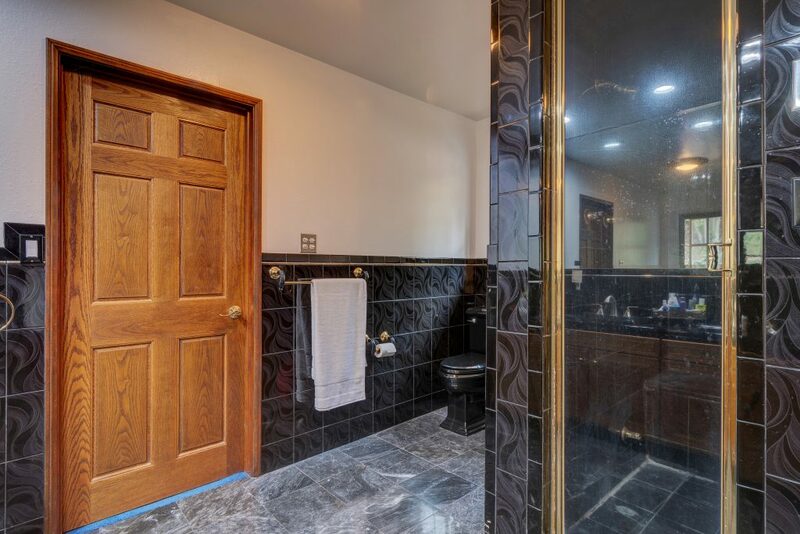 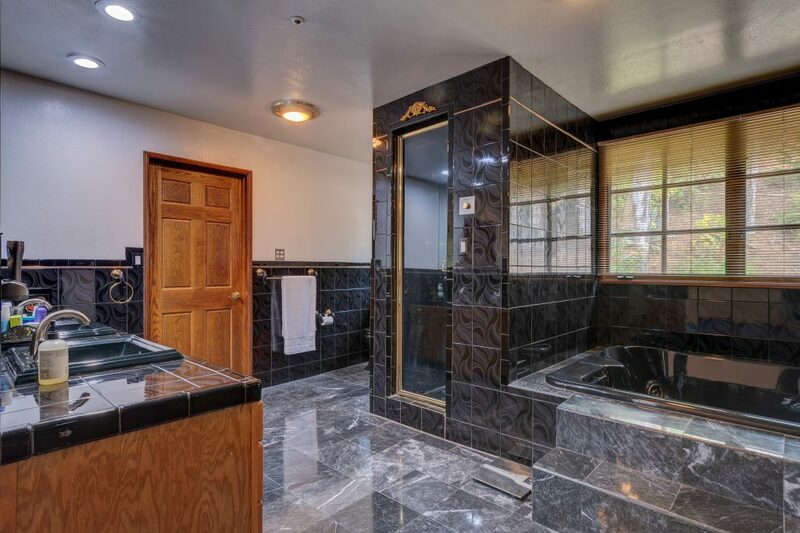 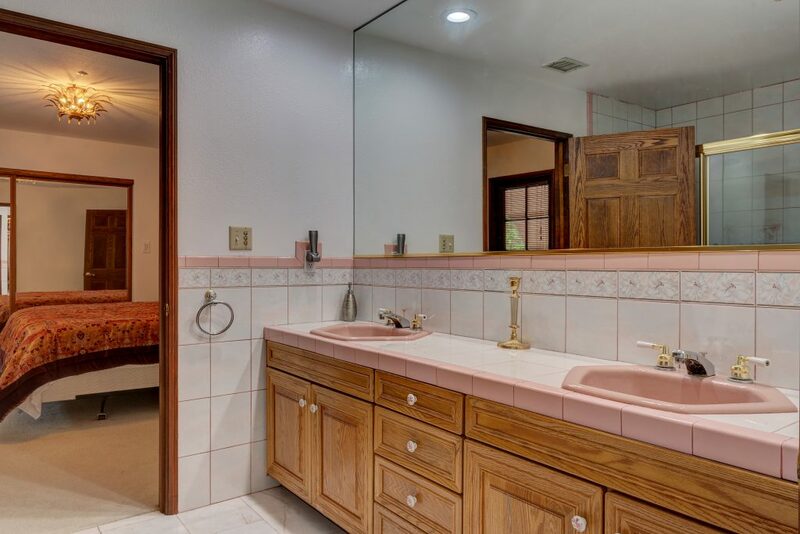 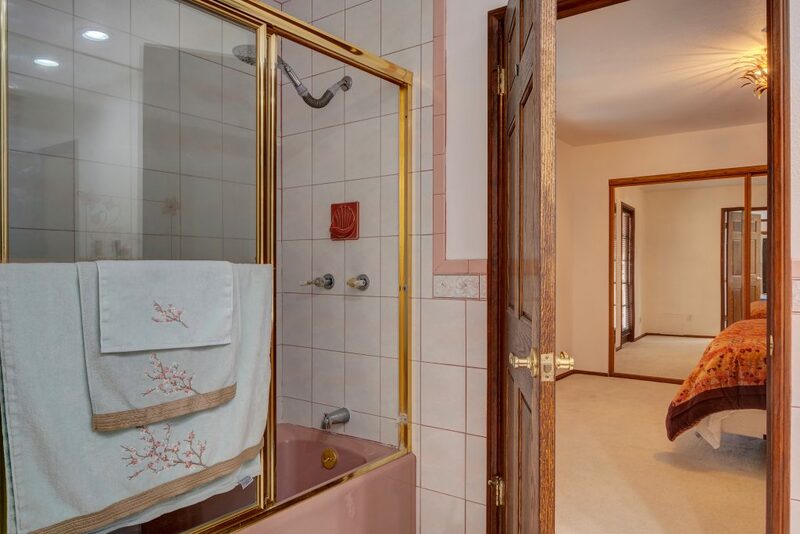 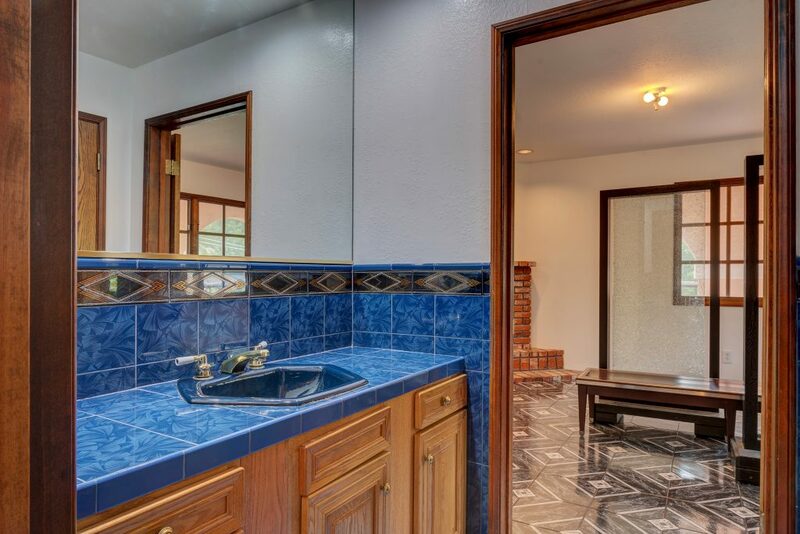 The master bathroom includes a large spa bath, bidet, and sauna/steam room. 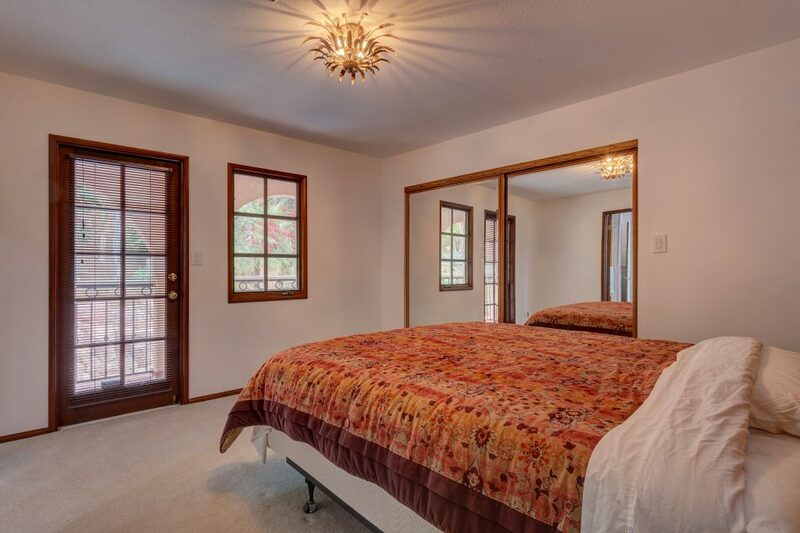 There is another bedroom on the south wing of the home that can easily be used as a second master bedroom. 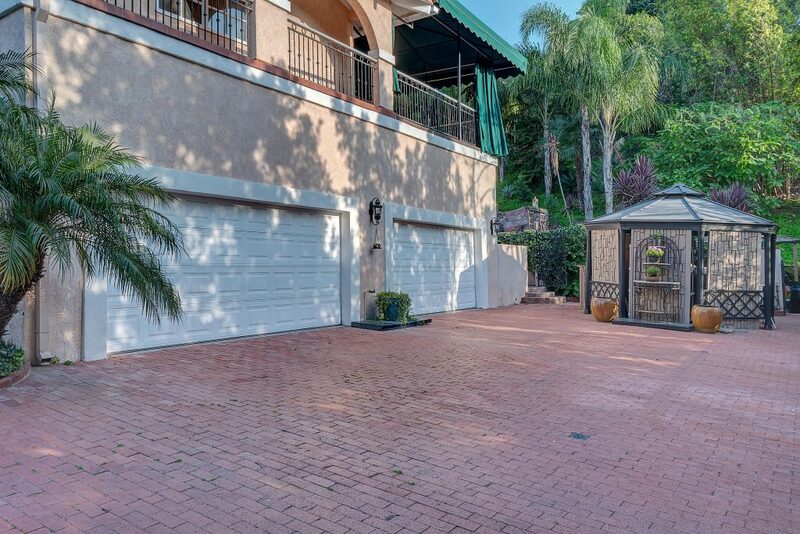 Step outside onto the balcony of this home that wraps around to the back of the home and overlooks the entire backyard. 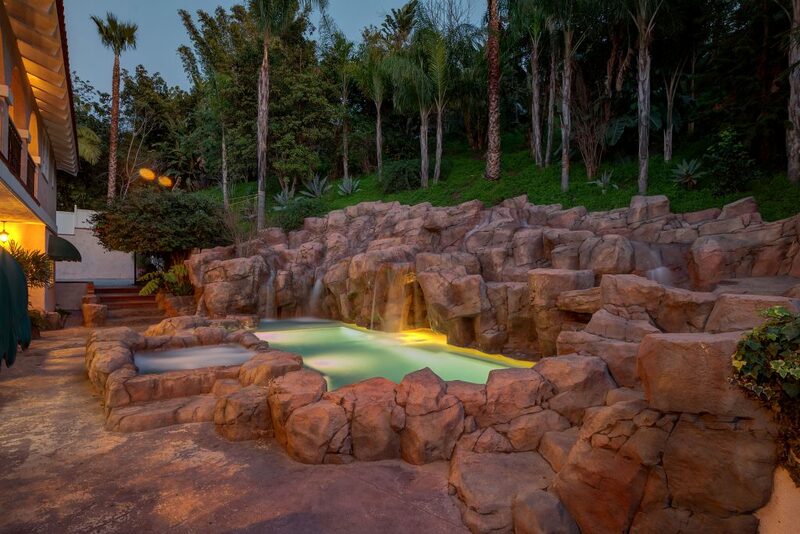 The backyard features cascading five fortune waterfalls that flows directly into the sparkling blue pool. 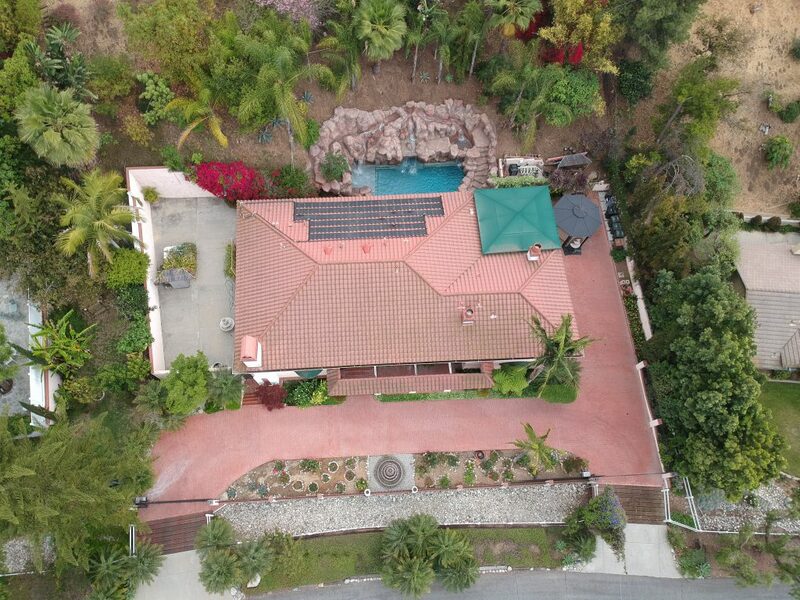 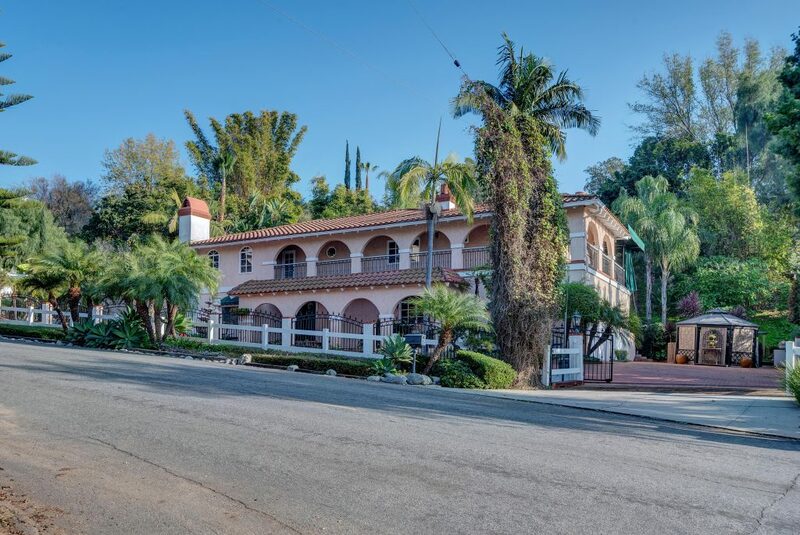 This Private Estate also includes a large concrete area that was originally designed for a basketball court however can be used for RV/Boat parking. 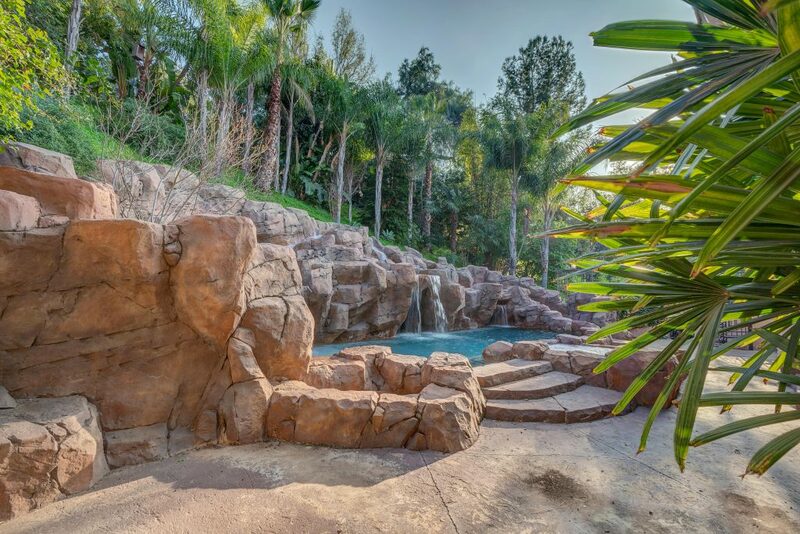 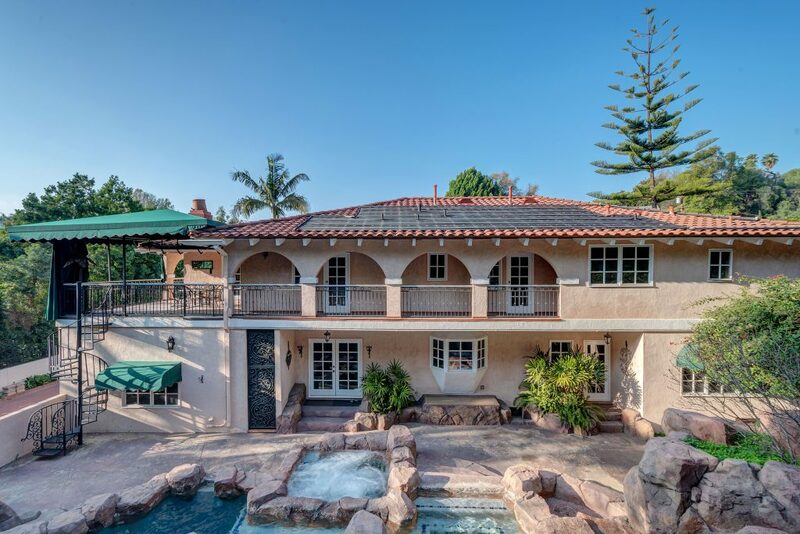 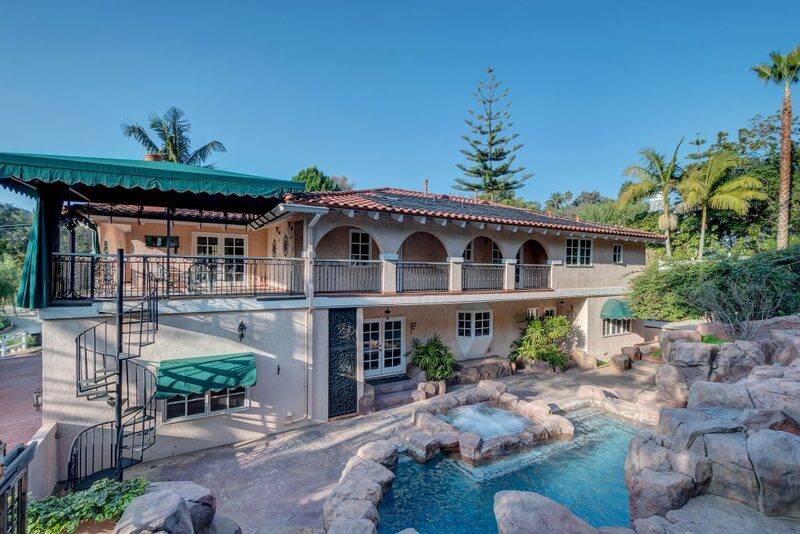 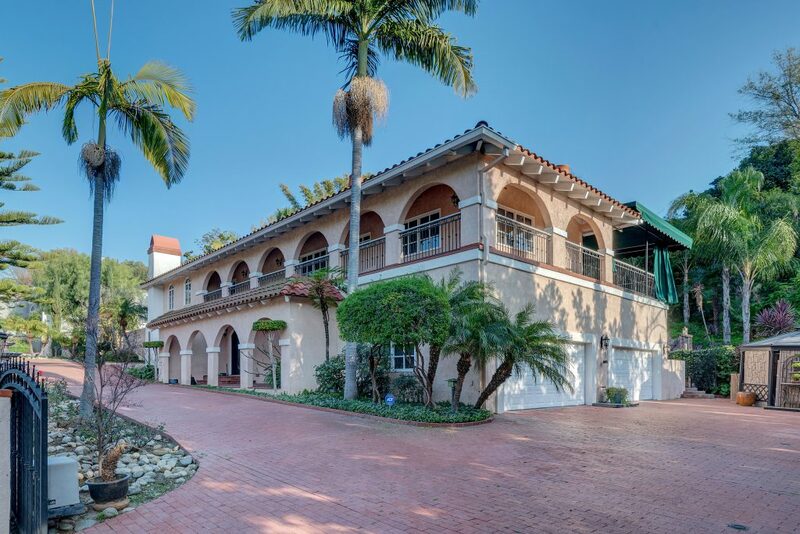 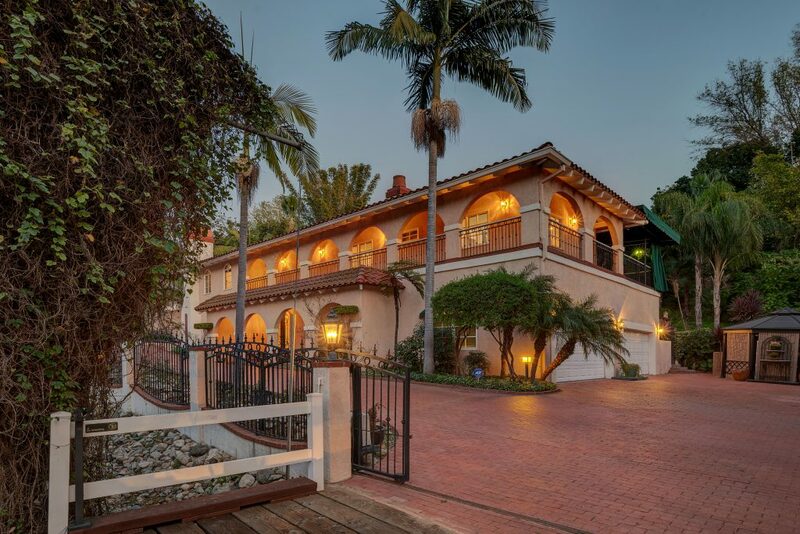 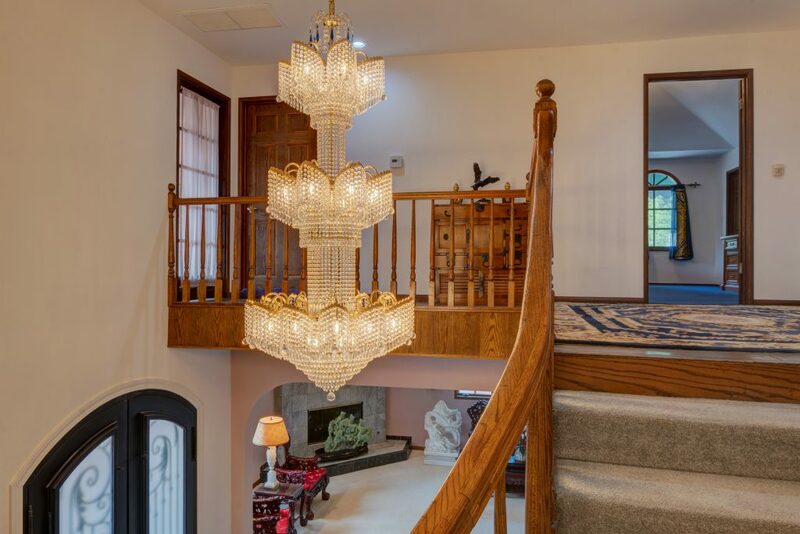 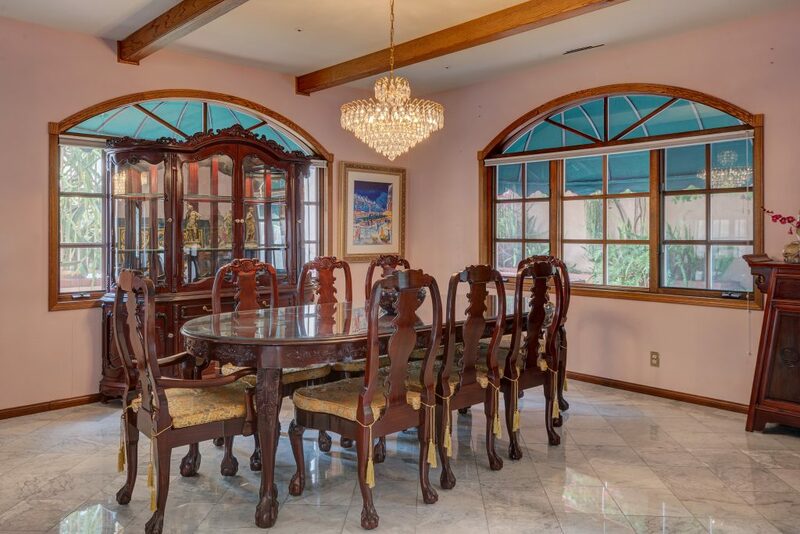 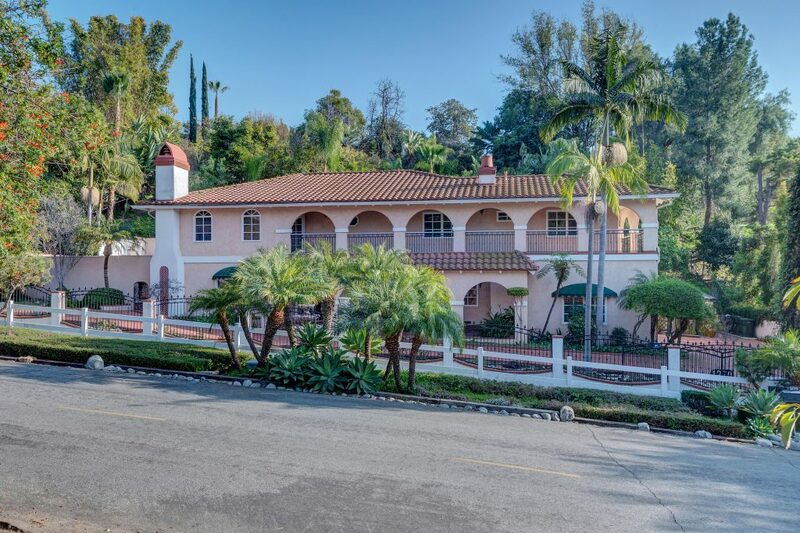 This Estate is an entertainers dream come true. 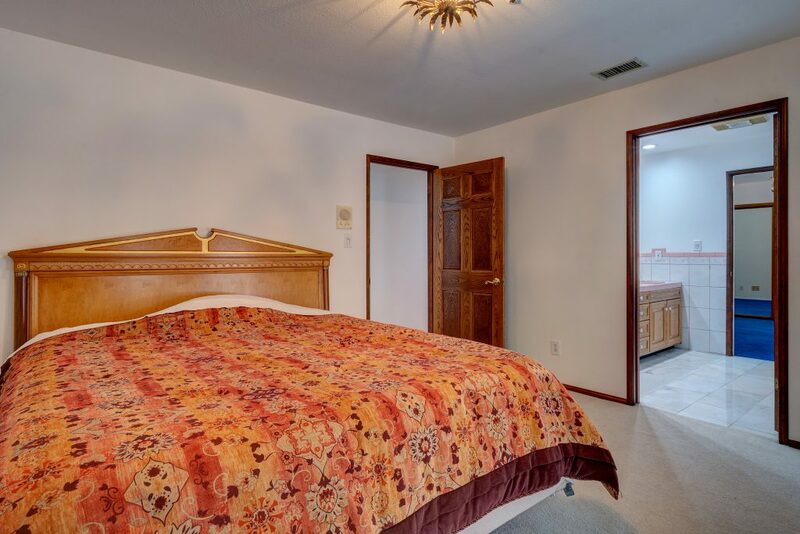 Enjoy all that this home has to offer including the convenience of having an intercom and a central vacuum system.